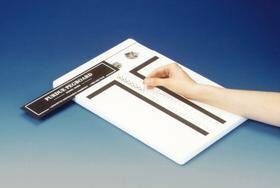 Purdue pegboard is used extensively to measure dexterity for two types of activity: gross movements of hands, fingers and arms; and fingertip dexterity. Complete with 25 collars, 45 washers and 55 pins, examiner's manual with norms. Complete with 25 collars, 45 washers and 55 pins, examiner's manual with norms. If you have any questions about this product by Therapy Best Buys, contact us by completing and submitting the form below. If you are looking for a specif part number, please include it with your message.